Flat strip string mop head for cleaning floors with raised profile. A super soft pad for dry burnishing. Recommended for use on machines operating at 1000-3000+ R.P.M. Works extremely well on ultra high speed machines for a deep and lasting shine. 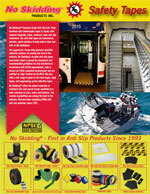 For use with Anti Slip Treatments (90378, 80378, 10946, 50378) to ensure a professional result. 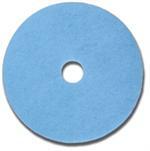 Lambswool Applicator pads include a 2 piece hardwood block with plated hardware. Wool pads are 3/4", natural wool base. 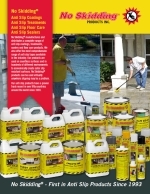 To make the application of anti slip treatments on tile surfaces easier. Special casters allow easy maneuverability around the area being treated and minimizes the chance of product being misapplied. To be used with our lambswool applicator.